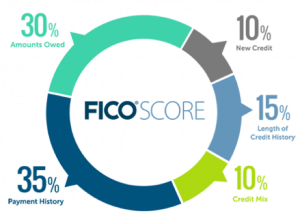 Your credit score is one of the first things a lender will check to see if you qualify for a loan. It’s a good idea to review your credit report and score yourself before you’re ready to apply for a mortgage. If you have a low score, you will need time to raise it. And sometimes fraudulent activity or erroneous information will appear on your report, which can take months to correct. At 35 percent, your payment history accounts for the largest portion of your credit score. Therefore, it’s crucial to get caught up on any late payments and make all of your future payments on time.If you have trouble remembering to pay your bills on time, set up payment reminders through your online banking platform, a free money management tool like Mint, or an app like BillMinder. The exception to this rule? If you don’t have any credit cards—or any credit accounts at all—you should open an account to establish a credit history. Just be sure to use it responsibly and pay it off in full each month.If you need to shop for a new credit account, for example, a car loan, be sure to complete your loan applications within a short period of time. FICO attempts to distinguish between a search for a single loan and applications to open several new lines of credit by the window of time during which inquiries occur. When you pay off your credit cards and other revolving credit, you lower your amounts owed, or credit utilization ratio (ratio of account balances to credit limits). Some experts recommend starting with your highest-interest debt and paying it off first. Others suggest paying off your lowest balance first and then rolling that payment into your next-lowest balance to create momentum.Whichever method you choose, the first step is to make a list of all of your credit card balances and then start tackling them one by one. Make the minimum payments on all of your cards except one. Pay as much as possible on that card until it’s paid in full, then cross it off your list and move on to the next card. Closing an old account will not remove it from your credit report. In fact, it can hurt your score, as it can raise your credit utilization ratio—since you’ll have less available credit—and decrease your average length of credit history.Similarly, paying off a collection account will not remove it from your report. It remains on your credit report for seven years, however, the negative impact on your score will decrease over time. When you purchase a home, you typically pay for a portion of it in cash (down payment) and take out a loan to cover the remaining balance (mortgage). Many first-time buyers wonder: How much do I need to save for a down payment? The answer is … it depends. There are a variety of other government-sponsored programs created to assist home buyers, as well. For example, veterans and current members of the Armed Forces may qualify for a VA-backed loan requiring a $0 down payment.7 Consult a mortgage lender about what options are available to you. It’s important to have a sense of how much you can reasonably afford—and how much you’ll be able to borrow—to see if homeownership is within reach. Your debt-to-income (DTI) ratio is one of the main factors mortgage companies use to determine how much they are willing to lend you, and it can help you gauge whether or not your home purchasing goals are realistic given your current financial situation. Once you have a sense of your purchasing power, it’s time to find out which neighborhoods and types of homes you can afford. The best way to determine this is to contact a licensed real estate agent. We help homeowners like you every day and can send you a comprehensive list of homes within your budget that meet your specific needs. If there are homes within your price range and target neighborhoods that meet your criteria—congratulations! It’s time to begin your home search. It’s never too early to start preparing financially for a home purchase. These three steps will set you on the path toward homeownership … and a secure financial future! And if you are ready to buy now but don’t have a perfect credit score or a big down payment, don’t get discouraged. 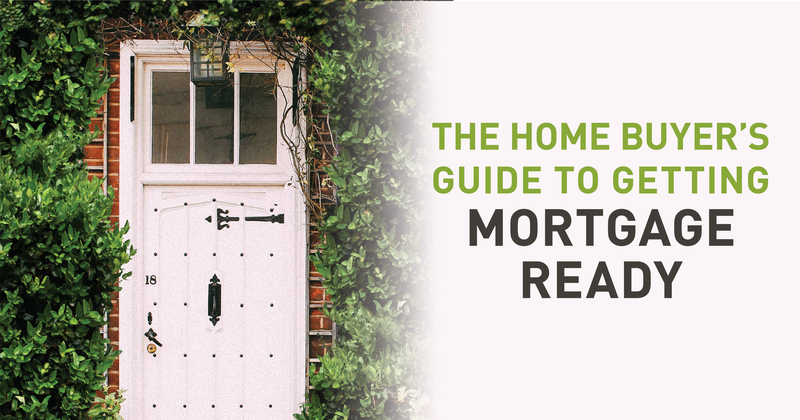 There are resources and options available that might make it possible for you to buy a home sooner than you think. We can help. Want to find out if you’re ready to buy a house? Give us a call! We’ll help you review your options, connect you with one of our trusted mortgage lenders, and help you determine the ideal time to begin your new home search. The above references an opinion and is for informational purposes only. It is not intended to be financial advice. Consult a financial professional for advice regarding your individual needs. 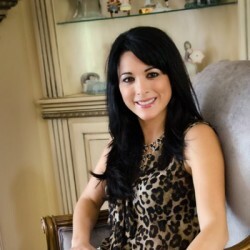 Virginia Silberstein is the BROKER/OWNER of Orlando Expert Realty L.L.C focusing on Residential Sales and Residential Property Management services. Virginia started in the Real estate industry in South Florida 14 years ago, after nurturing a 10 year career in the entertainment business, working for multinational companies in Film and Television productions in Paris, France. Virginia worked as a Regional Project Coordinator for a renowned property management company based in South Florida, supervising the sales and management of numerous projects of condominium conversions throughout the State of Florida. "I am committed to serving my clients with the highest level of integrity, discretion, and confidentiality." Call me at 321-274-6991 or email me at Virginia@VirginiaTheRealtor.com to start a discussion of your needs.